A 1966 graduate of Pasco High School, Pat Roach holds a Bachelor’s Degree from Seattle University and a Law Degree from Gonzaga University. Pat is a member of the American Bar Association, The American Trial Lawyers Association, the Washington State Trial Lawyers Association, as well as the Washington State Bar Association and the Benton-Franklin Bar Association. Pat has served as the City Attorney for both Pasco and Mesa and was the past President of the Benton/Franklin County Bar Association. Active in church and the community, Pat is a member of St. Patrick’s Parish, and has served many years on the board and as the President of the Tri-Cities Water Follies Association. He has served as President and on the board of the Franklin County Park Advisory Board for many years. Pat has served on the Board of Tri-Cities Prep, a Catholic High School. Pat has served as a Chairperson of several large charitable ongoing fundraising campaigns for capital improvements for St. Vincent DePaul, St. Pat’s School, and Tri-Cities Prep. Pat lives in Pasco with his wife LeeAnn. They have four children. Their son Brian Roach is a partner in the firm. 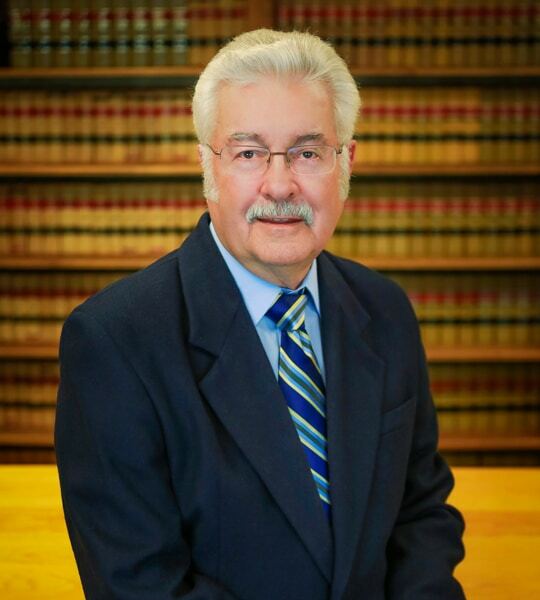 Pat’s areas of practice are Personal Injury and Wrongful Death. Pat also represents Ben Franklin Transit, the local bus system, and enjoys representing families seeking Adoption.